Floating face up in the Watsu pool at the Kalani Ocean Retreat that is tucked into a remote corner of the Big Island in Hawaii, I drifted in a state of embryonic innocence. Sylvie, my provider, massaged my spine gently and rotated my limbs to release joint tension. This was the first of many experiences on my quest for an Aloha fix that would include traditional lomi-lomi massage; interviewing Kumu Dane Silva, a respected native Hawaiian healer; a swim in a hot pond used for centuries by the ancestors to cleanse body, mind, and spirit; feeling the power of Pele, the volcano goddess; topped off with and an open air massage by the sea where wind, water, and sun stir the senses. 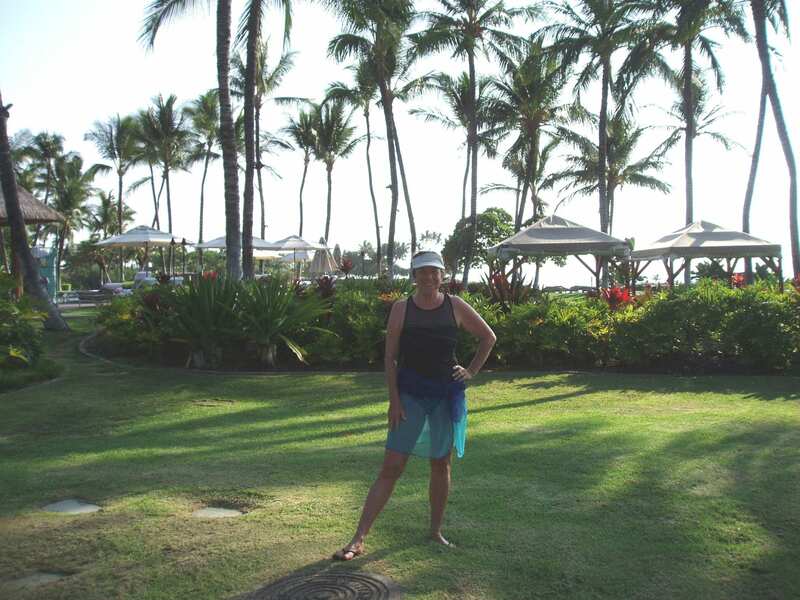 On the Big Island, the nexus of the plexus for healing gurus of all stripes, there is a choice to fit every pocketbook. Kalani Ocean Retreat is a 120-acre estate resting on a stunning coastal drive in the lush, tropical Puna District, near Hilo. Kalani offers a range of accommodations and activities that nurture creativity and encourage connection with the land—a basic Hawaiian precept. You may attend yoga, dance, tai chi, and many other classes offered year round. A cafeteria provides and serves guests and volunteers. 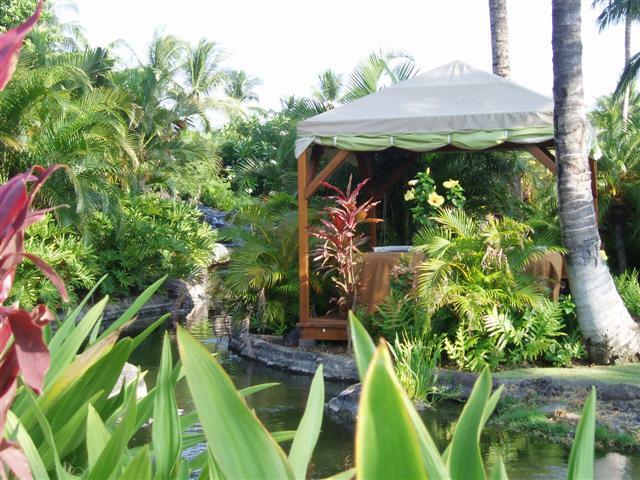 Kalani caters to workshops for groups, but one person can stay one night or just spend a heavenly afternoon at the spa. With my mind already softened from an hour of water therapy, I was led to the massage room—another haven of tranquility. Warm air laden with the scent of ginger and the firm, gliding hands, of Sylvie administering lomi-lomi, the loving touch, left me limp and receptive to the flow of new energy. Lomi-lomi was used by the ancients to massage tiny fingers to long tapered tips that would be better receptors for mana, or spiritual power. It was also used to lengthen the elegant limbs of an athletic race engaged in the dance of hula, surfing, and the martial arts. 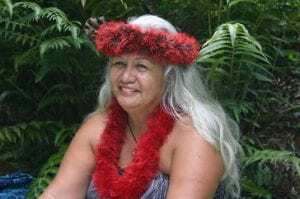 Mahealani Kuamo’o-Henry (Aunty M) is another resident of Puna who gives workshops in ho’oponopono—the ancient way of talking things out. She says Sylvie’s work makes those who come to her more receptive to her blessing. She leads Hawaiian therapy groups and comes to them with the required open heart and cleansed mind of a leader. Participants must come with an attitude of acceptance to successfully set things right—that is to make things pono. You must toss stones of anger, regret, or other emotions that might block light from coming into your bowl. She shares her great wealth of ancestral wisdom with others at the Ahalanui Hot Ponds. In these sessions, she speaks of our path of spiritual connectedness to the elements, bringing the message home in the tepid sea waters warmed by the breath of Pele. Aunty M was off-island the week I visited, so I did a solo float in the mineral-rich pool populated by giggling children, lovers, and elders talking story. The Big Island, the youngest in the chain, is still being formed and is said to be a vortex of special power. Molten lava flows from Kilauea volcano from the Puu Oo vent meets the sea in a convulsive spray of embers and billowing steam. It is also evident in nearby Hawaii Volcanoes National Park. There are numerous trails in the park that bring you closer to the immense energy emanating from the live volcano. My favorite hike in Volcano Park is through the Iki crater. It switchbacks down the fern-lined wall to the crater floor where steaming fumaroles remind you that Pele sleeps beneath your feet. Kumu Dane Silva, lomi-lomi master and an expert in native plant remedies and the martial arts wanted to meet me on Coconut Island. Dane Silva is a transcendent figure with the ability to synthesize western and traditional Hawaiian healing modalities into one holistic toolbox for treating patients. 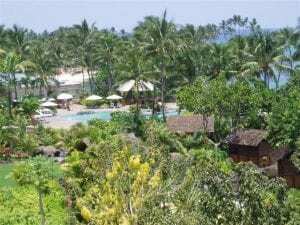 Coconut Island or Moku Ola, literally the healing island, is a place he brings people because it is invested with the spiritual energy of his ancestors. It was believed that if you could swim around the island you would be cured of whatever ailed you. I asked if I had to do anything special to receive the energy here. He said no. Just don’t bring negative energy with you. When people come to him their energies and their bodies are not in harmony with nature or other people. His job is to identify the root of the problem and find the proper way to treat the patient. 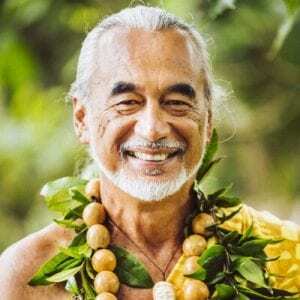 In conjunction with lomi-lomi, he administers a diluted sea water cleanse, the universal Hawaiian remedy to remove toxins from the body, or medicines from native plants if it is appropriate to help people. However, he does not limit his patients to these methods. He refers people to western medical doctors if he feels that is what is best for them. As an adventure travel writer I rarely land at exclusive high-end resorts with a host of smiling people anxious to see to my every need. But, that is exactly what I got at the Fairmont Orchid, a luxury resort on the sunny Gold Coast of Kohala. My room overlooked a dazzling display of tropical abundance. Winding pathways through a wonderland of lava rock waterfalls let you imagine you are a royal of the Ali’i class living in a land where the spring of love flows freely. In this self-contained village resting on azure Pauoa Bay you can snorkel in crystal clear water where you are sure to spot a green turtle or two, or just swing in the hammock and stare up at a hula moon. 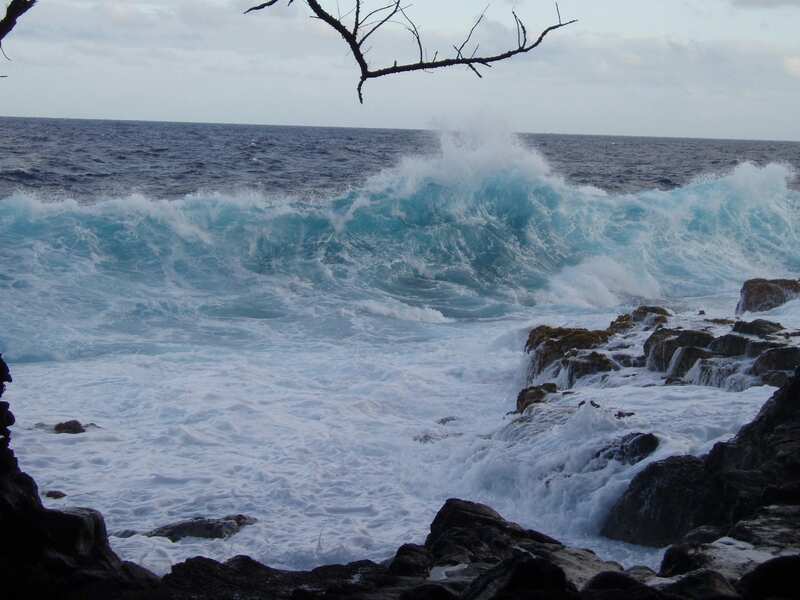 A delightful shoreline trail takes you to fish ponds used by the Hawaiians living on this coast a thousand years ago. It was kapu to catch certain fish during spawning time to ensure abundance. A contemplative walk on meandering paths beneath swaying palms here gives a sense of the peace and harmony of a time gone by. I came here to receive lomi-lomi in the open air by the sea. The ancient masters combined long sweeping movement using their whole bodies to relieve tension in muscles and, more important, they directed mana to the recipient to encourage healing, regenerative powers in the body. Dane Silva said it is a way to open us to connect with the land, the sea, and the air we breathe, for the Hawaiians believe we are all one. I focused on that idea as my expert masseuse moved across my body with long strokes of her forearm, kneading with her elbows to release sources of tension. I listened to the hiss of waves receding over pebbles and felt the warm breeze caress my skin scented with sandlewood oil. Letting cares fly, I dreamed I was on Kane Huna Moku, the paradisiacal isle that rests on the western horizon beneath a rainbow of radiance. I hoped when I had to leave I could take this warm aloha fix home with me and make it last.